A male Caribou stands upon the autumn colored hillside in Denali National Park in Alaska with a full set of antlers ready for rutting season. 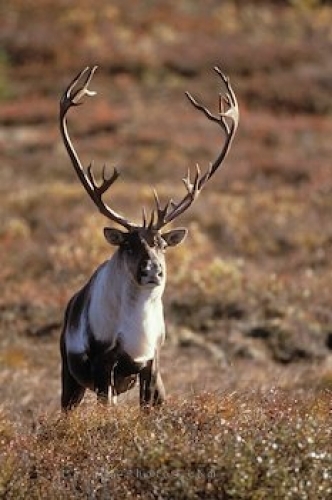 This is the prime time of the year in which the male caribou fight between each other over a female. Picture of a large male caribou in the wild of Denali National Park in Alaska.